A four-game weekend series between the Chicago Cubs and Washington Nationals will take place at Wrigley Field, and two of those games are among the most expensive in the Majors this week. The San Francisco Giants host the Colorado Rockies in a giveaway-filled weekend series while the New York Yankees and Red Sox also meet in a top-priced game at Yankee Stadium on Saturday. It will be a battle of first-place teams at Wrigley Field over the weekend when the Cubbies host the Nationals. Saturday afternoon's game will be the most expensive game of the week, with Chicago Cubs tickets on the secondary market averaging $143.98 and the get-in price listed from $52. The Giants have played .500 ball through the first three weeks of the season, but AT&T Park will be filled to the brim this weekend as they host a promo-heavy series against the Rockies. Sunday afternoon's game will be the second most expensive game of the week and will also include a Mother's Day tote bag giveaway to the first 20,000 fans. San Francisco Giants tickets against the Rockies on Sunday are averaging $140.76 and the get-in price is $48. The Cubs have their own festivities planned for Mother's Day on Sunday, with the first 5,000 fans in the bleacher sections receiving a "Pink Out" t-shirt in support of breast cancer awareness. The average price for Sunday Cubs vs Nationals tickets is $138.86 and the cheapest available ticket is listed from $44. A four-game losing streak has been the latest blunder in the Yankees' turbulent start to the season, and the Bombers will host the divisional rival and first-place Red Sox for a three-game series this weekend. 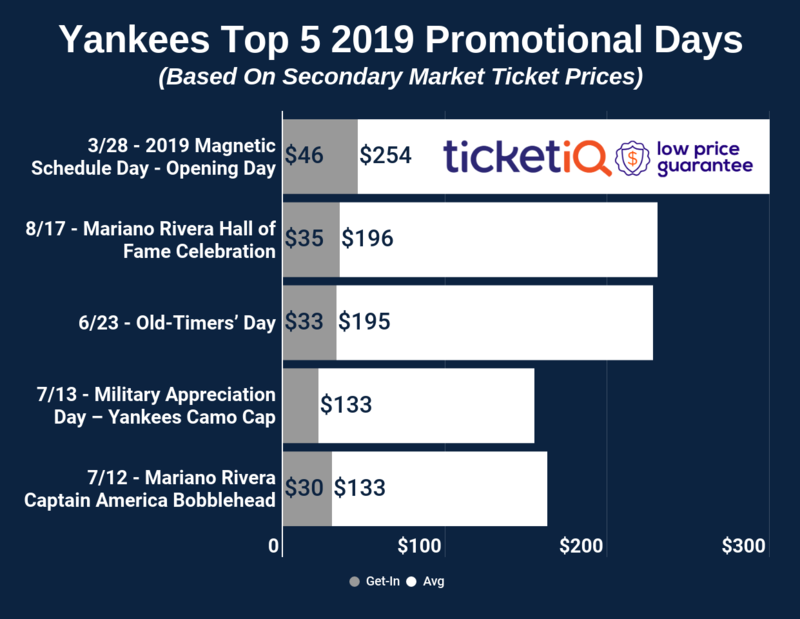 Saturday's matinee game will be the most expensive game of the series, with Yankees tickets against the Red Sox averaging $135.55 and the get-in price starting from $35. All fans in attendance will receive a Yankees patented sunscreen bottle in promotion of "Sunscreen Day" at Yankee Stadium. In addition to hosting MARVEL Super Heroes Day, the Giants will also distribute a Brandon Crawford bobblehead to the first 40,000 fans in attendance at Saturday afternoon's game against the Rockies. Fans will receive either a Silver Slugger or Gold Glove bobblehead commemorating Crawford's distinguished abilities both at the plate and on the field. The average resale price for Saturday Giants tickets against the Rockies is now $125 and the cheapest ticket is listed from $49.